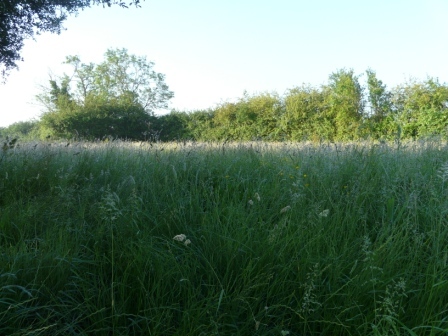 By the end of June our field was full of long grass. Making hay off it seemed the obvious answer. Reluctant to hand the job straight to a professional, I started a scythe search. 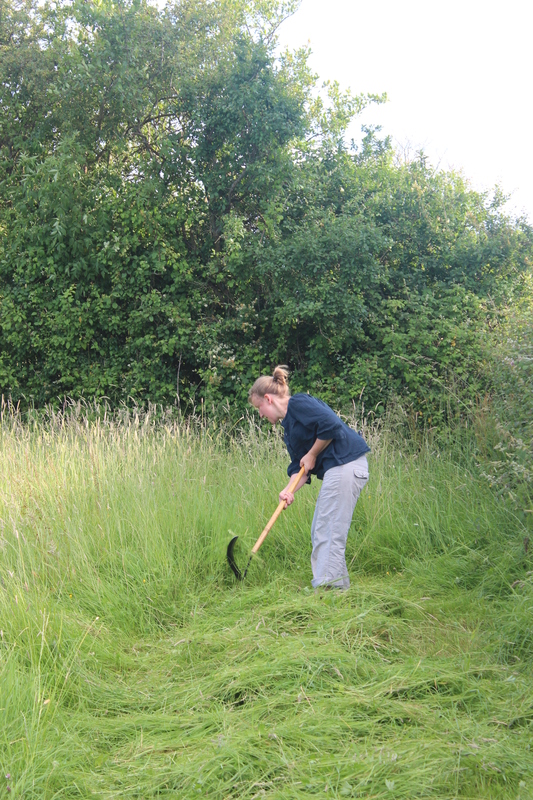 Considering we live in a village full of farms in a very rural area, scythes are few and far between. Real farmers use a proper machine for the job, and being unsentimental folk, they have happily let their traditional tools go to adorn the walls of barn conversions, so that people who have moved here can enjoy the rustic ambience of their homes when they get in from work in Bristol. Despite the extremely unsupportive reaction of many people I spoke to (hey – I’ve watched scything videos on youtube – it doesn’t look that hard), I continued the hunt. Eventually I was rewarded by the kind loan of this weapon from a neighbour. He had bought it at a car boot sale and it was still wrapped in the original owners’ long-johns. Described as a ‘ladies scythe’ it didn’t have quite the look I was expecting -more sharp hockey stick than Old Father Time. 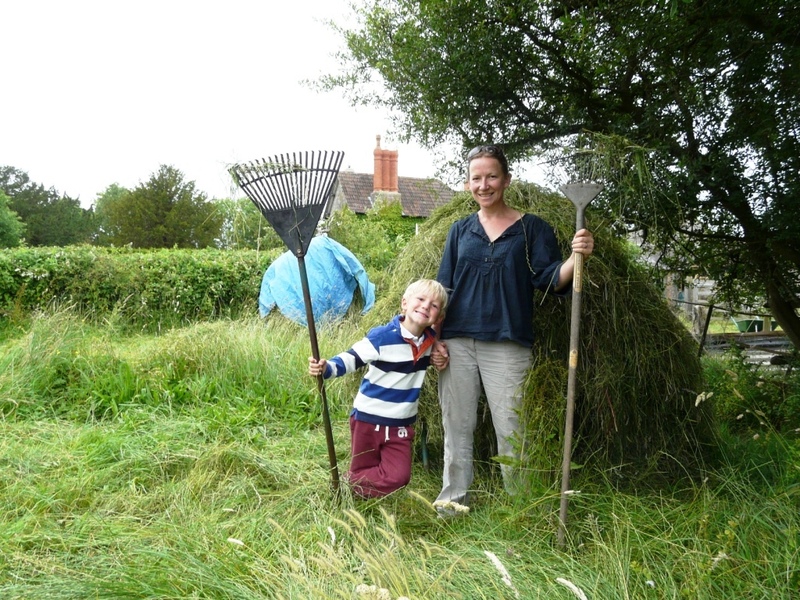 However, I set to work, aided and encouraged by a small boy, and found it surprisingly theraputic. It’s a lot more peaceful than a strimmer (which doesn’t cut the grass right for haymaking anyway). It also requires no petrol, just regular strokes of the wetstone and plenty of snacks for the operator. Once the hay had been cut we let it dry in the sun, turned it to dry the other side, then piled it up into rather shambolic ricks balanced on trestle bases. It smelt delicious! The second rick under construction. Having cut about 5 metres of the field over a few days, I accepted that this was not going to be the year where I got two acres cut. We called in the professionals and the rest of the field was cut and baled in no time – 14 big round bales which should see the sheep right for the winter!